The semiconductor industry requires absolute precise and accurate weight readings in order to produce viable conductors for future use in computers and devices that function using radio waves. 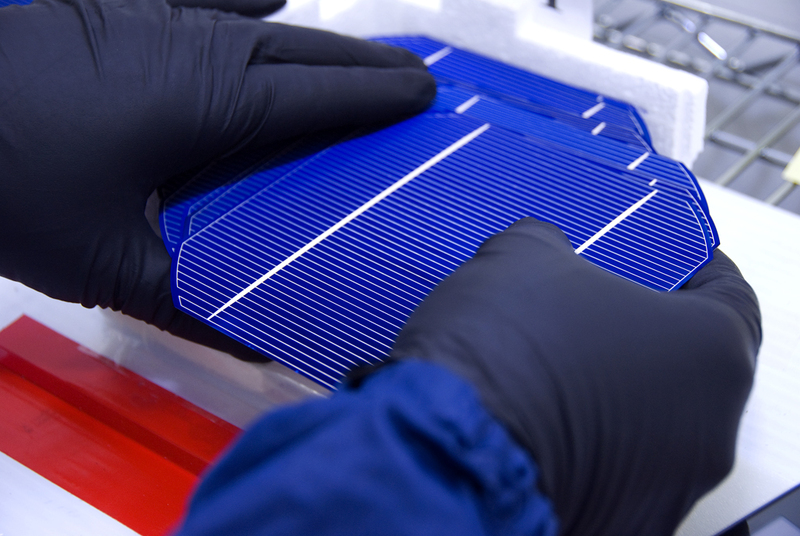 The manufacturing process for viable semiconductors leaves no room for error. Any variation from the precise formula will render that batch of wafers totally unusable, and cost the company tens of thousands of dollars.Arlyn Scales understands the importance of this process and its timing. We have been manufacturing our own subassemblies, including load cells, for over thirty years. Without our own sophisticated and precise methods, our weighing systems would not meet our high standards. Because of our thirty plus years of business experience, we know exactly what it takes to create scales that can produce the most accurate and precise weight readings possible. It takes a solid commitment to create products that keep pace with the technological demands of this day and age. Our engineers researched and created our Series 620G cylinder scales, which are the perfect weighing systems for the semiconductor industry. Because we manufacture the subassemblies that go into our own scales, we can guarantee that our load cells are built to withstand the rigors of weighing gas cylinders. There is a method to handling the well-chosen load cells that gives the user a distinct advantage.The load cells for these scales are comprised of a solid bar of high quality stainless steel. Rated for temperatures varying from fourteen degrees Fahrenheit to one hundred and four degrees Fahrenheit, this load cell is consistently operative throughout the wafer process.This rugged load cell is embedded in the scale’s platform to protect it from accidental hits. Our engineers devised a method of placement so secure that it is virtually impossible to be impacted from shock damage. Additionally, the low profile of this scale, one and three- eighths inches high, enables ease of placing and removing the cylinders which can weigh up to three hundred pounds.The use of stainless steel in the scale’s platform provides a durable, non-corrosive base. Although it is a far heavier material than aluminum, it is the proper material for the fabrication of superior cylinder scales. Nitrogen, argon, silane, carbon dioxide, dichlorosilane, trichlorosilane, phosphine, arsine, neon mixtures, krypton mixtures and pure oxygen are just a few of the gases used in the numerous steps necessary during the manufacturing process of semiconductors or integrated circuits. The journey from the polycrystalline silicon, which is created from sand then heated and melted into wafers, is the start of a long, delicately handled process that ends with the creation of the invaluable chips. The part of the process that requires the use of the cylinder scales is referred to as doping. Gases are added to the wafer to alter the electrical character of the silicon. The other step in this laborious process where scales are imperative is when atoms of either boron or phosphorus are released onto the silicon, creating P-type or N-type areas, which will reflect their conducting characteristics. With the extreme weighing accuracy of our Series 620G Cylinder Scale, the semiconductor industry has the benefit of determining the unladen weight or tare weight of the cylinder and subtracting that weight from the gas-filled cylinder to determine the weight of the gas.It is with our set point protocol and the use of our digital scale indicator that up to eight target weights can be set, creating a formula.These target weights can turn the equipment on that will release the atoms of gases during the doping phase. Equipment can be feeders, mixers, motors, valves and solenoids that are controlled using solid-state relays, which are operating on the dictates of the set point target weights. One can purchase up to eight relays, one for each target weight.Using the keypad on the indicator, formulas are input to control the output from the cylinder based on the weight of the cylinder resting on the scale’s platform.The user can set target weights to indicate when the cylinder is nearing depletion, and another to indicate when it is empty. The same solid-state relays can be set to target the opening of the backup cylinders valve.This sophisticated methodology provides fluidity to the semiconductor’s complex processing system. The ultimate benefit of having an Arlyn cylinder scale on board is that it, along with its extreme dependability, accuracy and precision, has several protocols that can be purchased to enable computer control of the scale or scales.With our RS-232 protocol and Ethernet connectivity, one can control the scale by sending commands from the computer to the scale’s digital indicator. With the bidirectional interface, all data and significant information can be transmitted to a computer, printer or programmable logic controller. One also has the option of using the print frame definition editor to print customized labels with pertinent information.Our RS-485 protocol allows for the tethering and operation of up to ten scales from one computer over a long distance network of up to four thousand feet. This multidrop protocol is bidirectional as well and with the use of USB interface, one can log data and directly control the ten scales from a single computer.For a backup of all data, we recommended our Datalogging option. This enables the user to record weight along with time, data, group and item information. The data is saved to USB stick that can be removed from the scale and read on a personal computer using Microsoft Excel.It is recommended to choose wisely when purchasing scales. We offer a fourteen-inch by fourteen-inch and nine and a quarter inch square platforms with weight capacities in sixty, three hundred or four hundred pound capacities. For quality control and to garner exact weight readings, it is best to choose the scale that will closely accommodate the highest intended weight. If you require custom platform sizes or capacities, we are also able to manufacture a scale that meets your exact specifications.Arlyn Scales technical advisors are available to address any questions or concerns you may have about choosing the best scale for your semiconductor manufacturing processes. Contact us today for more information. We can be reached on www.ArlynScales.com or by phone at (800) 645-4301.